Two rock bands with new albums to promote tour the UK together during March 2017, with a standout show at Birmingham's O2 Academy on March 12. Headliners Bonafide are old hands, with this tour marking their tenth anniversary. On the other hand, main support Tequila Mockingbyrd are celebrating the release of their first album. Swedish quartet Bonafide release their sixth long player, Flames, on March 10. 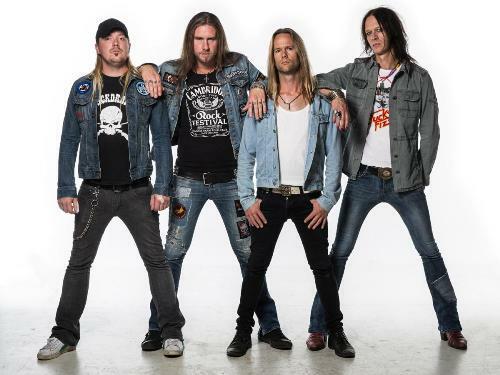 Formed by frontman Pontus Snibb in Malmo, Bonafide made a name for themselves thanks to appearances at the Sweden Rock Festival and support slots on tours by Deep Purple, Status Quo and Quireboys. Pontus says that Smoke & Fire, the first single from the new album, sum up the band's philosophy. ''It's about bands that like dressing up more than they like writing songs. It's more about how these guys look and how they act on stage. We're the complete opposite. I mean, we look okay but for Bonafide it's all about the music and it always has been. It's about substance over style." 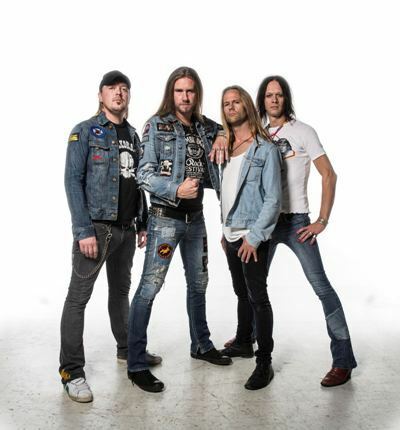 He adds that he and bandmates, guitarist Anders Rosell, bassist Martin Ekelund and drummer Niklas Matsson, are looking forward to the UK gigs in March. "We've made a lot of friends in the UK and outside of Sweden it's the place we love best and are loved best. But we're likeable guys! We love beer, we love curry and we love rock. Maybe that's why the UK is a home from home for us and always has been." He recognises, however, that unpredictability can sometimes be a good thing. "The new album is a bit of a surprise where Bonafide is concerned," he admits. "We actually have a gospel choir from southern Sweden singing on a few songs. And there's a classic Black Crowes kinda feel to some of the record. It's rock and soul. And it's something we've always wanted to do." Australian trio Tequila Mockingbyrd also feel at home in Great Britain – in fact, they like it so much they relocated to the UK from their native Melbourne last September. 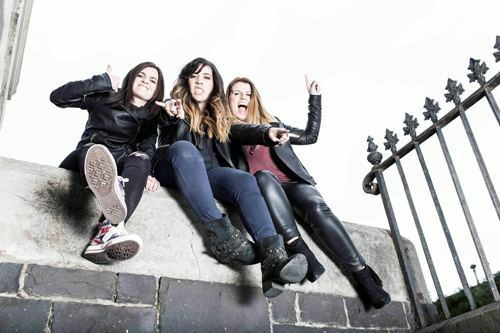 Estelle Artois (lead vocals, guitar), Jess Reily (bass) and Josie O'Toole (drums) release their debut album, Fight and Flight, on March 24, 2017 on the Off Yer Rocka Recordings label. ''Off Yer Rocka showed a lot of belief in the band before we even landed in the UK, so to have them backing the record is amazing,'' says Estelle. ''We're very happy 'Byrds right now as we've been waiting a long time for this." First single, I Smell Rock n Roll, found its way onto the playlist at Planet Rock Radio and a further single, Never Go Home, featuring four live tracks from the band's 'Farewell to Oz' show in Melbourne, is being released ahead of the album. Since their inception in 2012, they have toured Australia many times and supported such acts as Cherie Currie of The Runaways and punk icon Richie Ramone, whose management hand‐picked the girls for the slot having heard their cover of The Ramone's classic Somebody Put Something in My Drink.